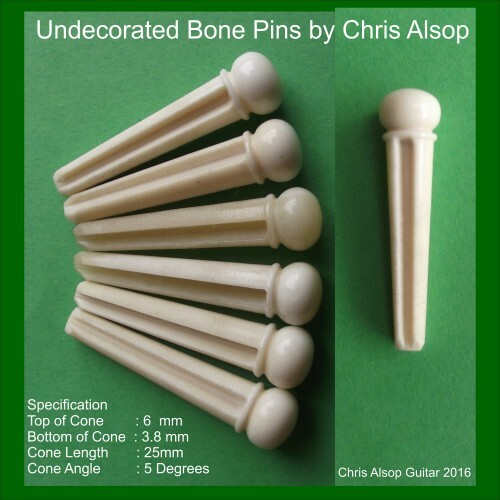 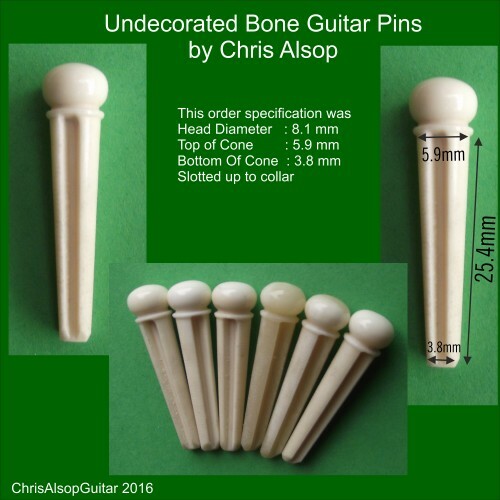 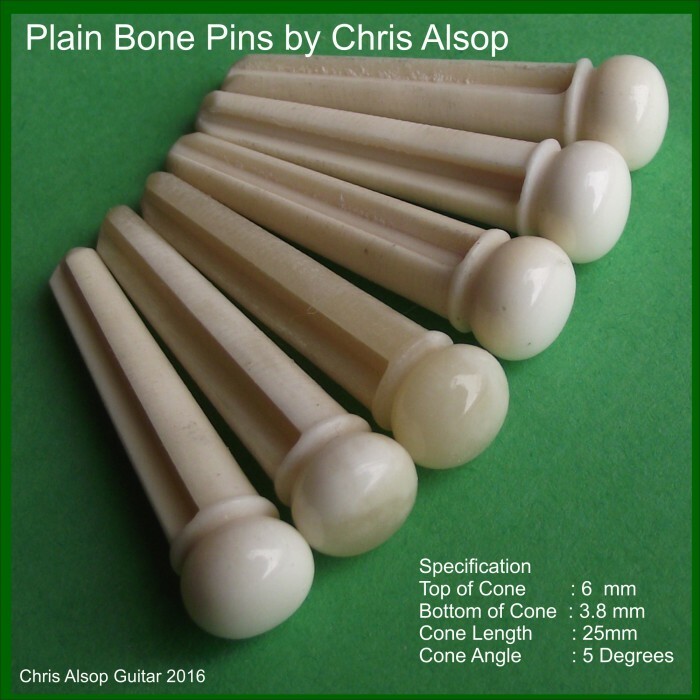 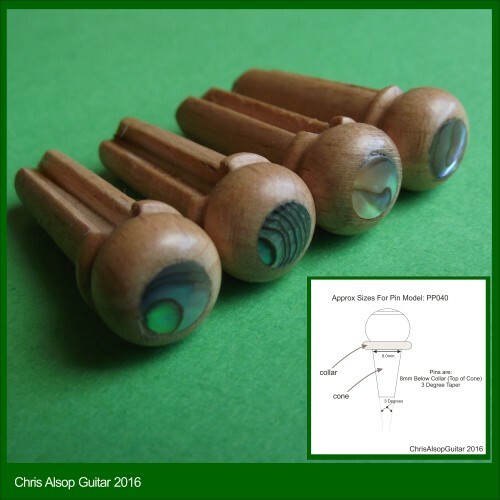 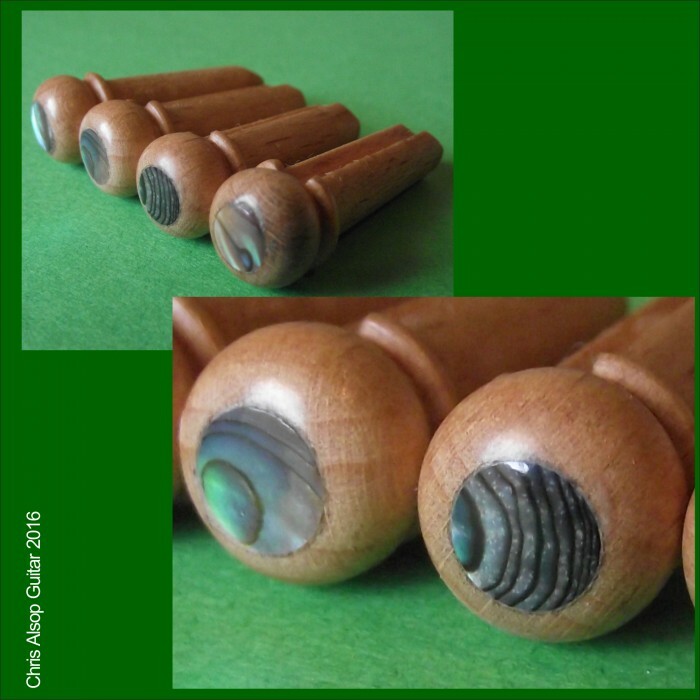 These pins are hand turned by Chris Alsop in his workshops in Derbyshire, UK. 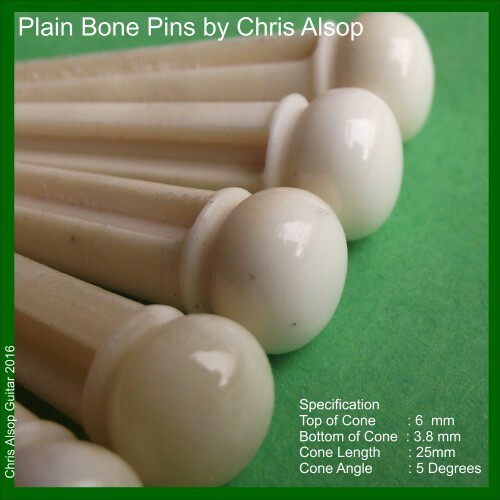 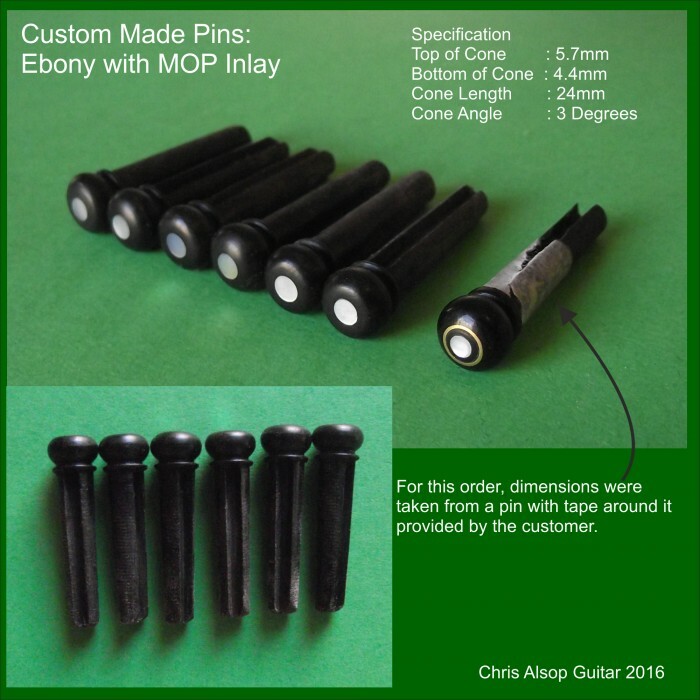 The pins are 8.0mm diameter under the collar (also known as the top of the cone) with a 3 degree taper. 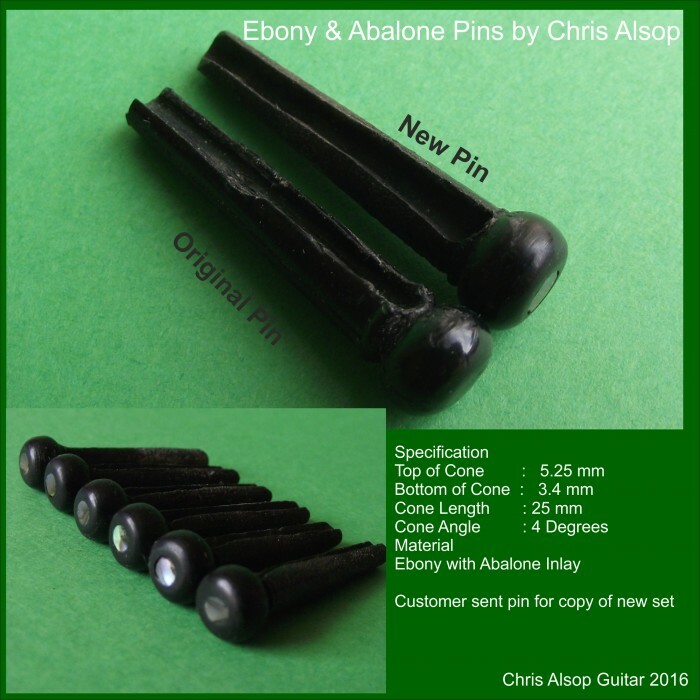 The slot on the Low E pin is made larger to accomodate the larger Low E string. 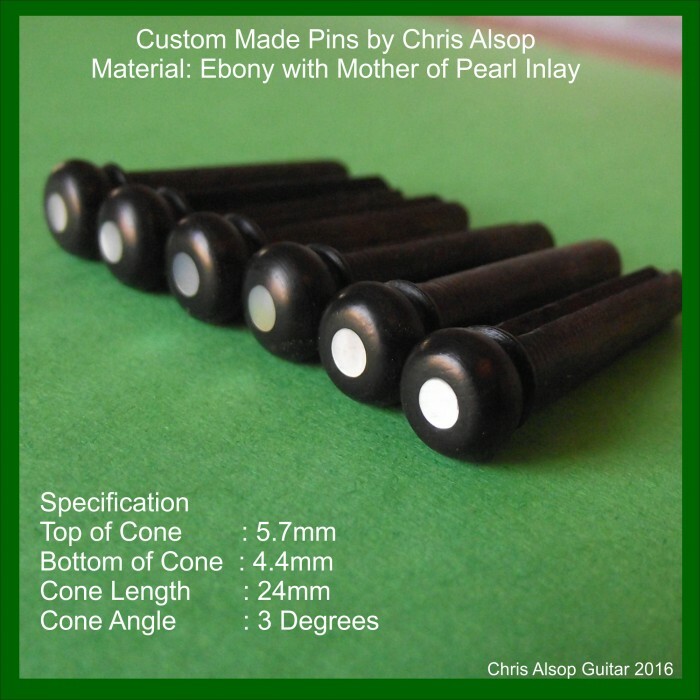 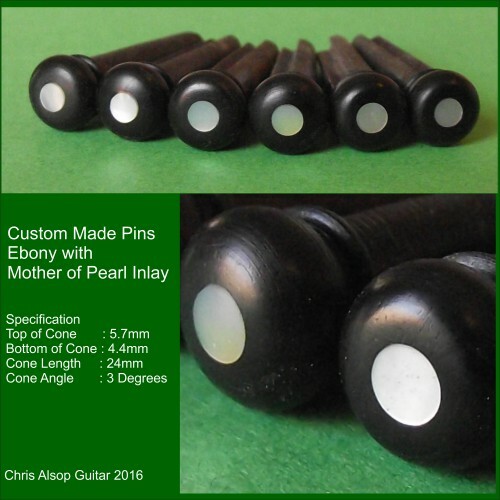 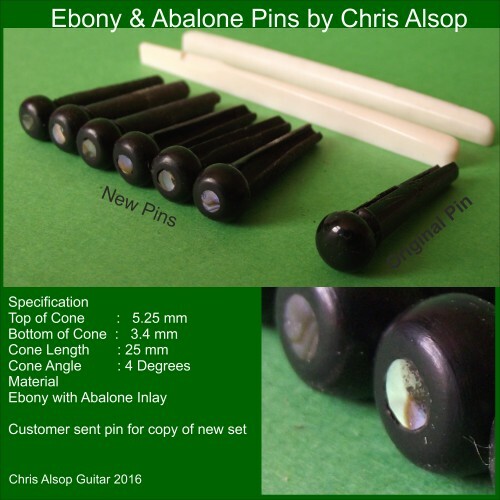 These pins are made by Chris Alsop in his workshops in Derbyshire, UK. The pins are 5.7mm diameter under the collar (also known as the top of the cone) and 4.4mm at the base of the cone with a 3 degree taper. 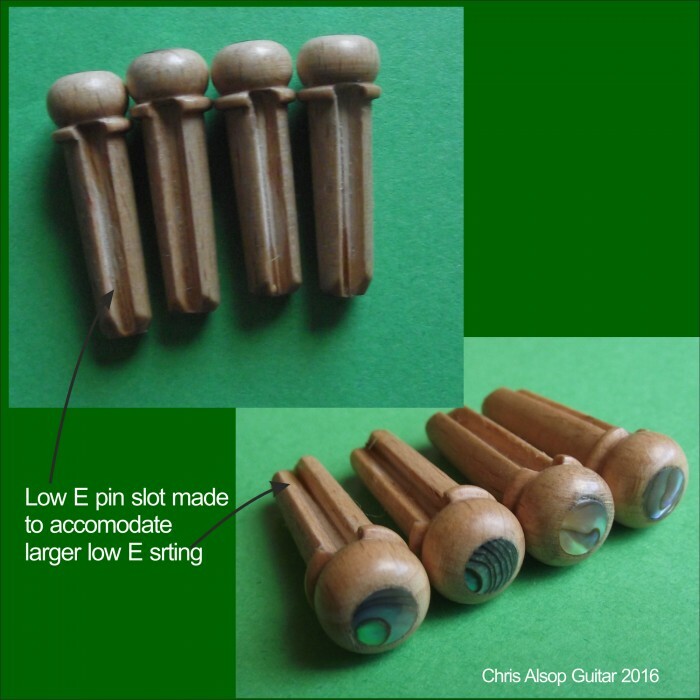 These pins were made for a Faith acoustic guitar. The original pins were too loose so the customer put some tape around the pin to adjust to the correct size and then sent the pin to us for a template for the new set.